Amazing potential w/ this one level cottage style ranch home great for 1st time buyer or investor. Awaiting your vision with newer roof. Cosmetic fixer needs creative TLC. Hardwoods under carpet in bedroom in unknown condition. Sold "As-Is." Seller to do no repairs. Fenced backyard. Attached 1 car garage. 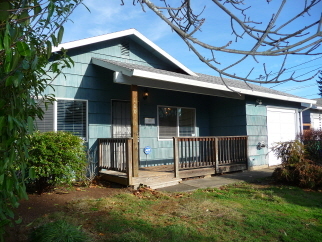 I-205 and easy access to shopping, schools, parks, maxline and freeway. 2 parks & Springwater Trail nearby.